Welcome to my site, I hope you enjoy your tour and try one or two of my recipes. If you do please let me know how they came out or perhaps share an idea or two with me. I am a cancer survivor (I hope) and former restauranteur and my son has decided that I needed a hobby to keep me busy so he suggested a blog. I’ll give it a try. I love to cook and will from time to time publish some of my better experiments. We are going to try and do holiday and celebration menus with some of our favorite recipes and maybe a few new ones. 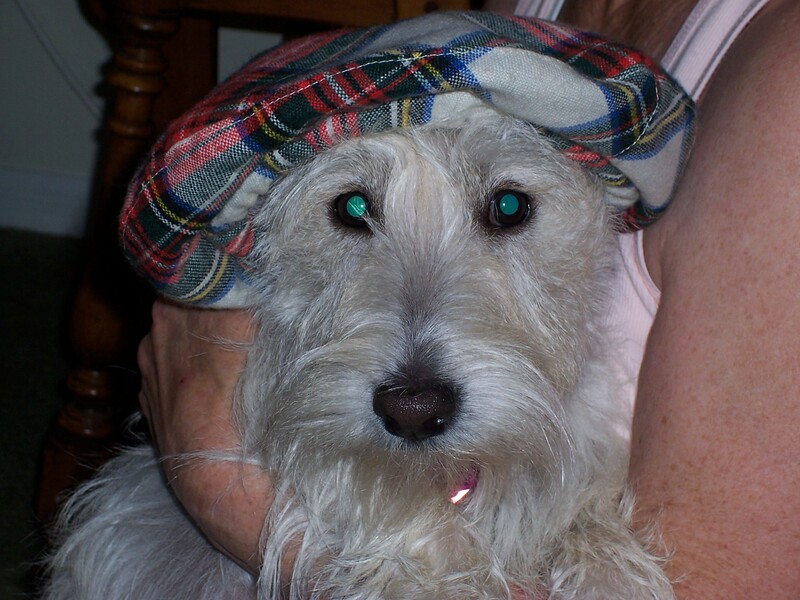 I always have a willing taster in my little Scottie Katie, and of course my wife. If you enjoy my blog please feel free to spread the word. Click on a few ads and let the world know we’re here. I’ll be introducing my “Official Taste Tester” Katie who will be a not so impartial reviewer of my recipes, who will be going back over some of our better recipes to taste and give her opinions. So many recipes and so little time, but then someone has to do it ! I’ll give it my best shot. The scones I tried were delicious. I loved seeing Katie on your bed. People around where you live told me they love seeing a Scotty watching the world go by. Keep up with your recipes as I enjoy seeing them and I will try some. What’s not to love? Adorable doggy and terrific looking food photos, complete with recipes. I found you via the blueberry shortbread crumble. Haven’t tried it yet – but I’ll be to find more. Your Autumn cheesecake from Tasty Kitchen looks great.